Automated data validation tools come with more than 450 preconfigured checks developed from the Federal Aviation Administration (FAA)-18B specification. ArcGIS for Aviation: Charting (previously Esri Aeronautical Solution) improves, standardizes, and increases data and workflow management by allowing standards-based aeronautical data to be captured, maintained, and managed in a centralized database. With it, users can produce standardized and customized electronic and paper aeronautical charts. 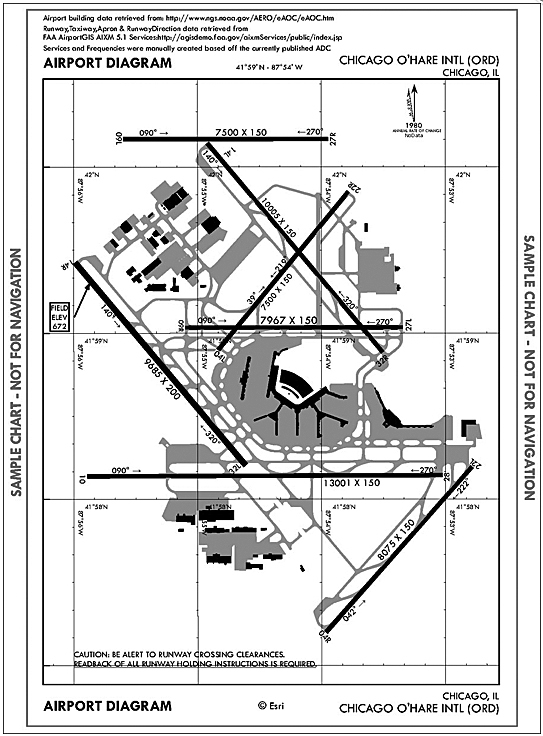 ArcGIS for Aviation: Airports assists airports and their consultants in complying with data management and quality standards, such as the Federal Aviation Administration’s (FAA) Airport Surveying—GIS program. 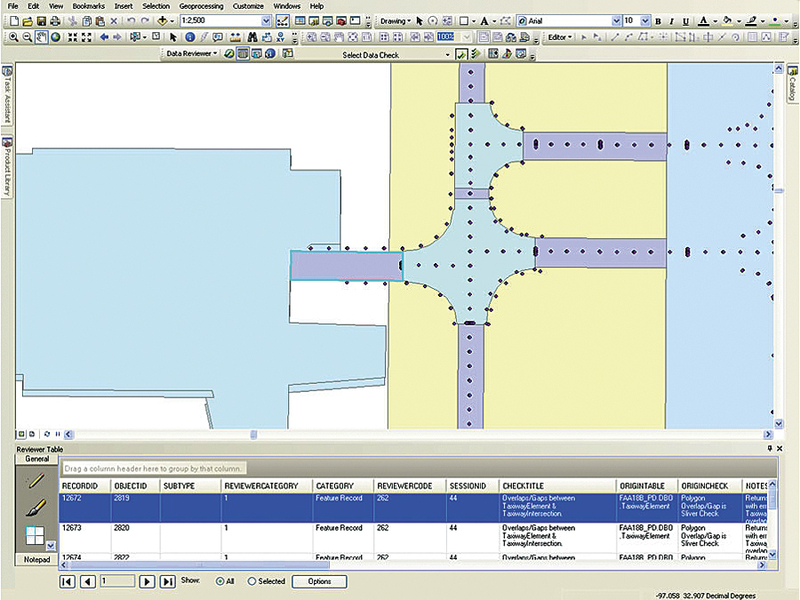 It provides tools, templates, and analysis functionality that introduce efficiencies and new capabilities into the planning, maintenance, and day-to-day operations of airports. Create aeronautical charts using AIXM datasets (sample chart—not for navigation). ArcGIS for Aviation is part of the ArcGIS platform to solve problems and gain efficiencies for civil, military, and commercial aeronautical agencies, airports, consultants, and related businesses. It enables organizations to manage aviation data, products, services, workflows, and quality. The platform provides significant efficiencies for creating and maintaining aviation data according to industry standards to support chart production, airspace analysis, airport operations, and regulatory compliance. For more information on the ArcGIS for Aviation platform, contact aero@esri.com or visit esri.com/arcgisforaviation. Users in countries outside the United States should contact their local distributor.